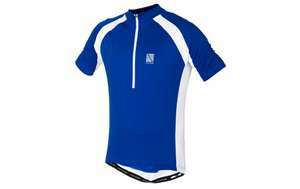 Altura Airstream Short-sleeved cycling jersey - £6.40 with code PRFINAL20. Free C&C or £3.95 postage if you don't reach the £100 free postage trigger. RRP £39.99 and selling for around £20 elsewhere. The link is for Large but medium is also available. Other decent Altura deals on site including Night Vision rucksack cover and Women's tights. Just keep in mind Altura comes up small on sizeing . They are a slim road fit. A xxl fits me like a normal Large . Some good deals in the reduced clothing. Just got some shorts and a jersey. PRFINAL20 automatically takes another 20% off when you pay. Good post, cheers.